Cathy O’Donnell (not Lana Turner, as legend has it) was sitting at the counter of Schwab’s Drug Store in Hollywood when she was discovered by agent Ben Medford. 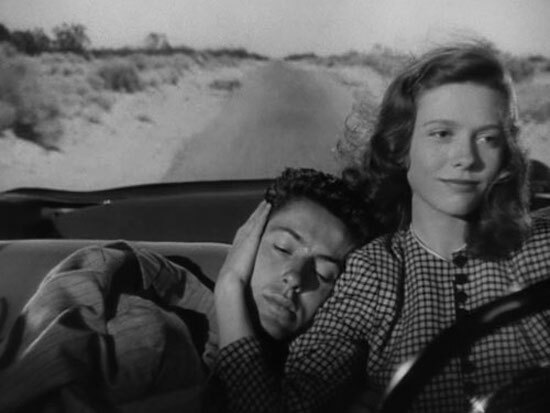 Medford took O’Donnell to see producer Sam Goldwyn, who offered her a contract without even viewing the screen test he gave her. While a student at Southern Methodist University, Dorothy Malone was starring in a school play, Starbound, portraying a silver screen hopeful who was waiting for her big break. 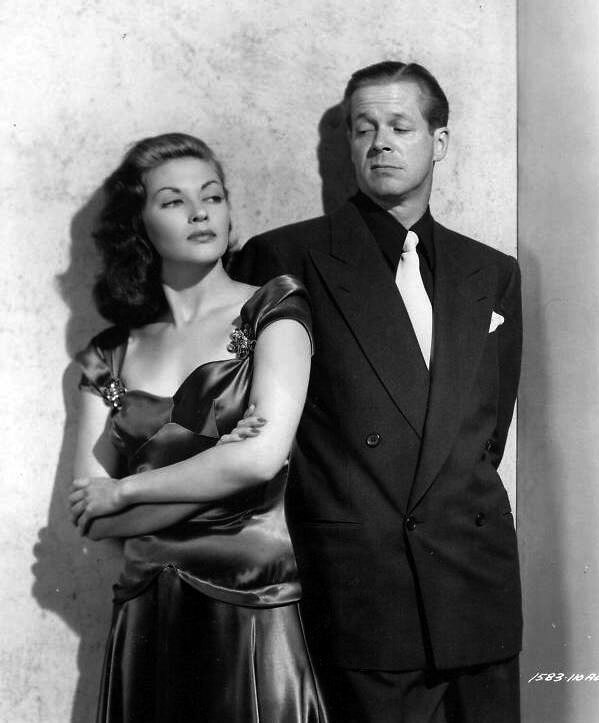 During the run of the play, Malone’s performance was seen by RKO talent scout Edward Rubin, who gave her a screen test in her mother’s living room, which led to her contract with the studio. When Jan Sterling was 17, her mother enrolled her in an exclusive finishing school in Connecticut, but Sterling convinced her mom to let her go to New York, agreeing that she’d go to the finishing school if she wasn’t able to land an acting job within a month. Sterling wasn’t having much success when one day, while waiting for a friend outside the offices of the famed Schubert brothers, she ducked inside a producer’s reception room to get out of the rain. The producer emerged from his office, took one look at Sterling, and gave her a part in her first play. While Ann Blyth was eating lunch at the Professional Children’s School, she was spotted by Broadway director Herman Shumlin and playwright Lillian Hellman. They asked her to read for a part in their new production and she was cast as Paul Lukas’s daughter in Hellman’s Pulitzer Prize-winning play, Watch on the Rhine. She was 13 years old. As a drama and art student at UCLA, Jeanne Crain interviewed for a part in Max Reinhardt’s stage production of The Song of Bernadette and was glimpsed by Reinhardt’s wife, who gave her tickets to see another play, Two on an Island. When Crain attended that play, she caught the eye of three separate talent scouts, including Ivan Kahn of 20th Century Fox, who arranged for a screen test. A short time later, she signed a contract with the studio. Not long after Rosemary DeCamp played on radio’s The Career of Alice Blair, the show’s star, Martha Scott left the airwaves for the starring role in Cheers for Miss Bishop (1941). Scott recommended her old pal DeCamp for a role in the film playing a Danish woman – DeCamp later said Scott “fought with the producer, director and everyone to give me the part.” Whatever Scott said obviously worked – DeCamp got the role. After graduating from Northwestern University in 1945, Jean Hagen headed for New York, working on radio series and supplementing her income by ushering at the Booth Theatre. One night, she encountered playwright Ben Hecht, whose play, Swan Song, was playing at the Booth. Hecht asked Hagen what she thought of the production, and she frankly responded, “It stinks.” After briefly arguing the point, Hecht offered Hagen a part in the play! Evelyn Keyes was living in the Hollywood Studio Club in L.A., unsuccessfully making the rounds at the local movie studios, when she met Jeanie MacPherson, a one-time silent film actress and screenwriter for director Cecil B. DeMille. MacPherson introduced Keyes to DeMille, who – after ordering Keyes to shed her southern accent – signed her to a seven-year contract. Loretta Young and her older sister, Polly Ann, were both budding actresses, when Mervyn LeRoy, then-assistant director for First National Pictures, called their home to see if Polly Ann was available for a part in a Colleen Moore movie. Loretta answered the phone, told LeRoy that Polly Ann wasn’t available, but SHE was, and was promptly hired for the role. And how’s YOUR luck this month??? This entry was posted in Noir Nook, Posts by Karen Burroughs Hannsberry and tagged Ann Blyth, cathy o'donnell, dorothy malone, jan sterling, jeanne crain, lana turner, Rosemary DeCamp, yvonne decarlo. Bookmark the permalink. I like hearing about those lucky breaks. Me, too, Paddy — you just never know! And a Happy St. Patrick’s Day to you, too! 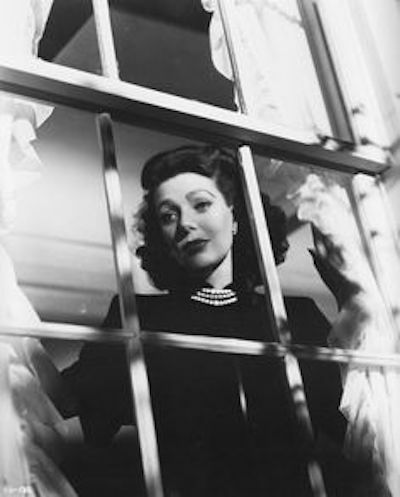 My favorite of these stories was Loretta Young. I like her story, too, Gloria — talk about serendipity! I didn’t know Ann Blyth was discovered so young. 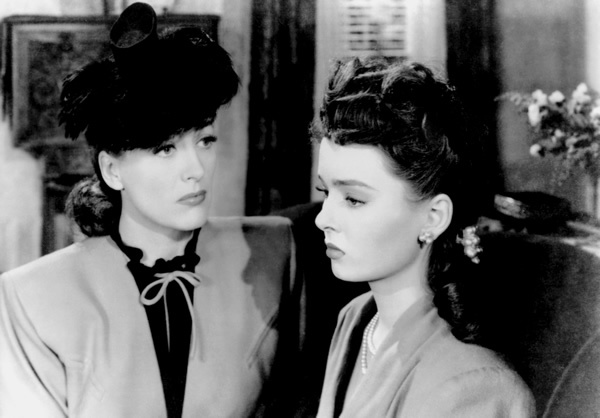 She is definitely one I love to hate in “Mildred Pierce.” I’d call her Daughter Dearest, LOL. I love Yvonne DeCarlo and Loretta Young. Both were incredible actresses who mastered both drama and comedy genres. I like them both, too, Sara — especially Yvonne DeCarlo. I actually love Loretta Young’s pre-Code work more than her noirs, but she definitely showed her versatility in both types of films, as well as in her other work! These are great stories about women in noir. I think Cathy O’Donnell was especially wonderful to watch. Cathy O’Donnell is one of my absolute favorites. It’s a shame she wasn’t in more films. She was really good.